Easy Apple Fritters made by dipping sliced apples in a quick batter and frying until golden and delicious! 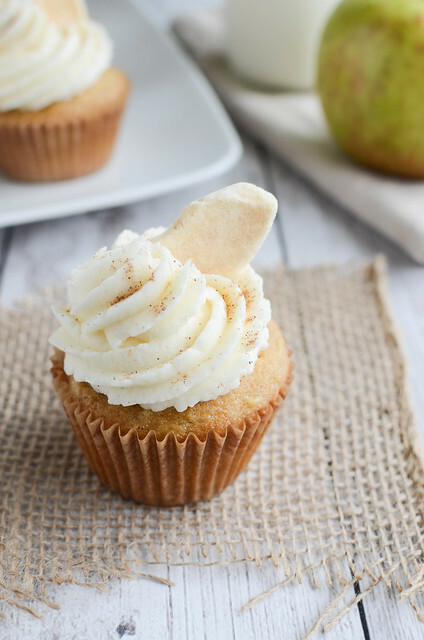 You won’t believe how easy and delicious these are! Do you want to know how sad my life is? Yesterday I took a nap (don’t judge me) and dreamt that I was on weather.com and saw snow in the forecast. And I woke up so excited. Like, it wasn’t even snowing. It was just the weather forecast. In my dream. Another more real life thing that has been exciting me recently is apple recipes. It’s quite weird because I really don’t like apples much. I think I’ve eaten two apples this year and both times I covered them in chocolate PB2. Which is one of my favorite things on earth and if you aren’t covering your apples in it, what are you doing with your life? But yeah, I’ve been pulling apple recipes out of magazines like it’s my job. Cakes, bars, battered and fried. I made these Apple Fritters over the weekend, because I figured I could get away with serving them for lunch. I mean, apples. Healthy! Fiber! Stuff like that! And then flour which is basically bread. So an apple sandwich. Anyway, my kids loved them and I had a lot of fun making them. Plus it gave me an excuse to buy an apple corer. And that’s always a good time. If you aren’t a fan of the smell that lingers after frying things, I’ve heard that putting a capful of bleach on the counter will get rid of it really quickly. Let me know if you have any other tips because you know I never remember to put bleach on the grocery list! Heat a couple inches of vegetable oil in a large, heavy pot to 350F. Peel and core the apples; slice into 1/4-inch thick rings. Whisk together the buttermilk and sugar. In a separate bowl, whisk together flour, cinnamon and salt. 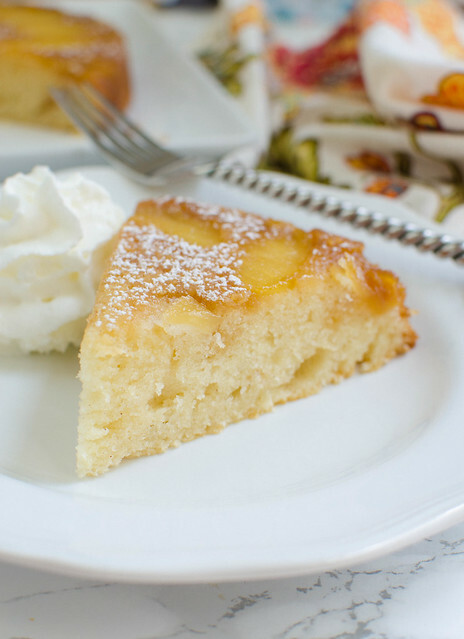 Toss the apple slices with the buttermilk mixture; then dredge them in the flour mixture. Return to the buttermilk and then dredge in the flour again. Fry the apple slices until golden and crisp; drain on paper towels. Once cool, dust the tops with powdered sugar. 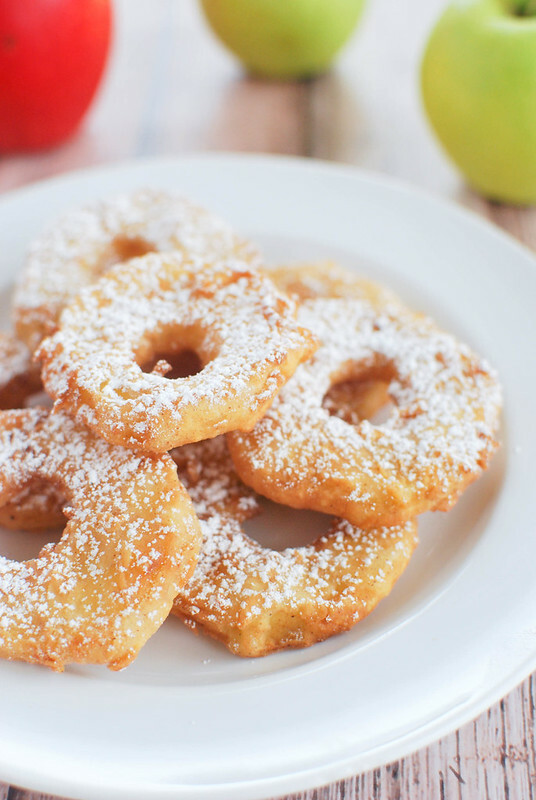 18 Responses to "Apple Fritters"
Excited about snow? Yeah, no. hehe. However these apple fritters look delicious. I love the chocolate pb2…my kids put it in their smoothies!!! Chocolate PB2 is the best! 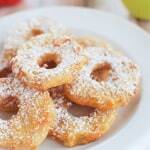 And these apple fritters look amazing-I would devour them all! I love this time of year and once the first snow hits, it’s even better! These fritters look like they’d be perfect with apple cider or cocoa! Can’t wait for snow here – it was 80 degrees yesterday. 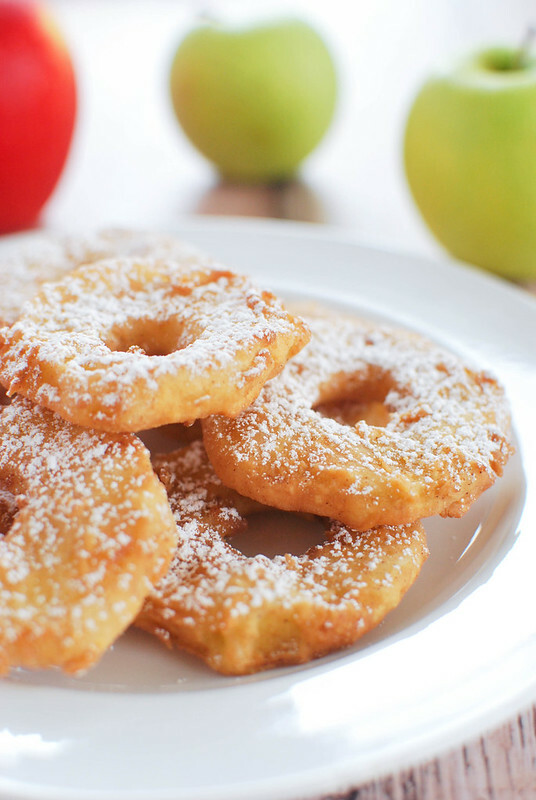 It should be puffy jacket weather by now… I’ve never made apple fritters, but yours look deeelicious. I’m pretty sure I’m going to be dreaming about these during my next nap! These bring back many happy memories! MMmmm!! Clearly I have been doing lunch all wrong!!! I so need apple fritters instead of salad!!! And I have a jar of the chocolate PB2 but never thought about using it on apples…thank you for that tidbit! I bet you could bake them instead of frying. That would eliminate the guilt of eating fried foods! Not sure if I would be excited about snow, but I am sure excited about these apple fritters! YUM! I am the queen of naps! Seriously, when I take a nap, it’s a 2-3 hour nap. And I LOVE it. There’s nothing wrong with taking a nap. I wish I could have seen this when I was a kid and REFUSED to take one! I’m right there with you on these Apple Fritters – lunch, yes. Snack, yes. Any excuse to eat them, yes. They look SO good, Amanda! 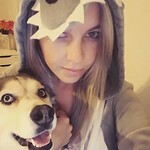 Haha seriously reading these posts are my favorite thing – I look forward to it because you are SO funny!! I love how excited you are for the snow and got so excited for you in your IG feed that you have snow in the mountains there – it’s so close! Also these apple fritters – pure amazing! I like the way you think! I’m pretty sure these could classify as sandwiches! I’ve never seen apple fritters like this. I’ve always seen them lumpy and bumpy. This looks much easier to make at home. yum!! My neighbor just told me how much he loves apple fritters and I wanted to make some for him. 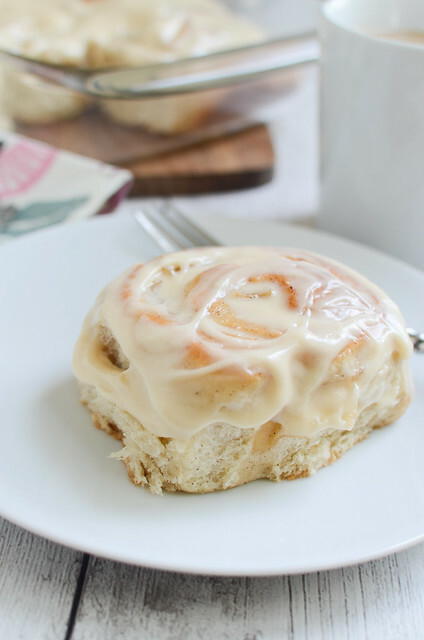 Son of a gun, the next day you post this recipe; it was meant to be…can’t wait to try them. Burn a candle for about a half hour and that should take care of the frying oil smell.